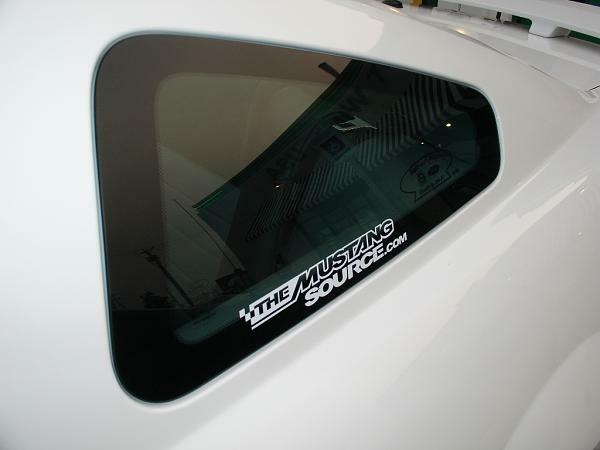 Just read in another TMS section about Mustang owners worring about their 5.0 rides becoming outdated. Thinking my original post here says it all for lovers of everything Mustang. "RC"
This has to be one of the most enjoyable threads to read through. It's nice to see the pure enjoyment that a Mustang can have on us. Whether it be a 64-1/2 a new 2012, or anything in between. My wife and I had a 2003 GT a few years back. We sold it, and regretted it almost immediately. We just bought a 2008 GT, and are loving it. We haven't made any noteworthy road trips yet, but are looking forward to many for years to come. one thing about mustangs, seems a lot of folks are into them for the long haul- know a lot of folks that go buy a new 'whatever' swear they love it, then 2 years later repeat with 'something else'. I would be interested in seeing average length of ownership among different models- I think Mustang would be in the top few or higher. I will miss the mustang again this winter though, in nice weather still look for reasons to go anywhere in it, just as enjoyable as the day we got it- hate the thought of winter coming...but fall is the best time of the year, might try to get the wife in hers to caravan down thru southern ohio when the leaves change... windows down in the fall colors- gotta love it. Yeah I don't think they get it. People like that appear to be more 'fad chasers' than into the Mustang heritage. Mustang died ...Also battery keeps draining. .